To quote Sam Gamgee, '"Well, I'm back." Like most people who start Blogs I've dabbled for a few months, posted my thoughts and my paintings and then let it slide. It may be that this time will be no different, but we shall see! Recently, in an effort to 'loosen up' and regain some confidence to tackle a big(ish) painting that I started last year, I've been attempting to do a painting in a day. Horses, of course, as this is where my passion lies. Now, I'm not painting every day but I am trying to fit in two or three a week as and when I can. 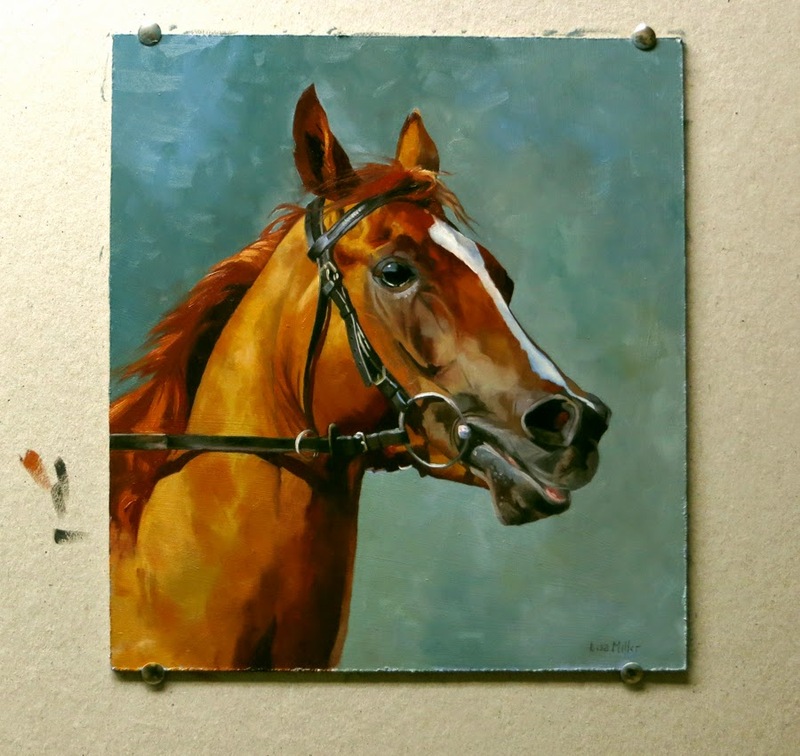 So this is my first one - a 9 x 10 inch oil of an arab racehorse called LB Armanii, and a lovely chestnut he is too. I've been using Rosemary & Co ivory flats for the first time as well, and I'm very impressed with these brushes as they seem to combine the toughness of hog with the delicacy of the softer synthetics I had been using. The painting above was completed using a No. 0, 1 and 4 in the range. Of course, all these paintings will be for sale, I do need to keep buying art supplies after all! If you're interested drop me an email. The paintings are unframed but I can arrange framing for a little extra. Thank you, and I hope you pop by soon.